I wonder if all the shenanigans between the coaches on The Voice is scripted. I'm pretty sure it is. I wonder if President Trump has times that he "wonders" why in the world he wanted to be President. I sometimes wonder why there is a passing lane or a turning lane as most folks apparently don't know how to use either of them correctly. I wonder how we would ever survive without computers and cell phones. It seem as though most of us have forgotten what life was like "before them." ~I don't care to find out~ I think the key to all of it is finding a balance in our use of them. I wonder if the Sharks on Shark Tank have a preview of what's coming up on the show before the actual contestants do their presentation. I wonder if our country will ever be unified again. I sometimes wonder how my life will end. Will I suffer an illness, die in an accident or will I just die of natural causes? Of course, my desire is that I would live a long life and then just go to sleep and wake up in the arms of Jesus. But, that's what we all would desire, but that's not always the way it happens. How will our children feel once both of us are gone from this earth? I just remember how lost and lonely I felt for the first couple of years after my Mom's untimely death. Added note: I do not dwell on any of this but sometimes my mind just wonders. We all spend time contemplating and wondering about things. I don't watch This is Us! I guess certain shows appeal to each of us differently. Such is life! I do think The Vice is scripted. It's entertainment and drama. Lea, I just published a post about your blog makeover. Happy Friday sweet friend. I've wondered about many of these things myself. It's normal. Love your new blog look! Have a beautiful weekend. I've also pondered how my life will end. I think loosing my dad at 54, from pancreatic cancer, made me realize that we aren't all promised the blessing of old age. My maternal grandparents passed five months from each other, and yet my nana was perfectly healthy. I think she chose to be with my granddaddy and Jesus, and that brought us so much peace. Since being diagnosed with cancer last year, I often consider how my life may end. One thing I know we will not die one second before God is ready for us nor will we live even one second longer. This helps me. So many things to wonder about. I know my mind never seems to turn off and I wonder about many of the things you mentioned. Interesting post! 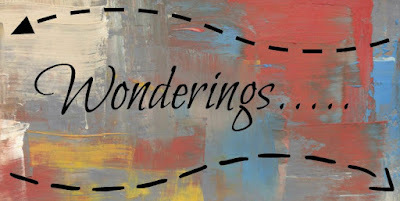 I wonder... sometimes I wonder some of these same things, and sometimes I don't! Have a blessed weekend dear friend, HUGS! Hi Lea! Great blog and Love this post. It's funny how our minds work the wheels are always turning lol! I have to agree with most of your contemplations especially the passing lanes! I get so frustrated with bad drivers haha. Blessings! I've had many of these same thoughts. And I'm thankful I don't know how it all turns out. I'm too much of a control freak... I'd probably lose my mind. 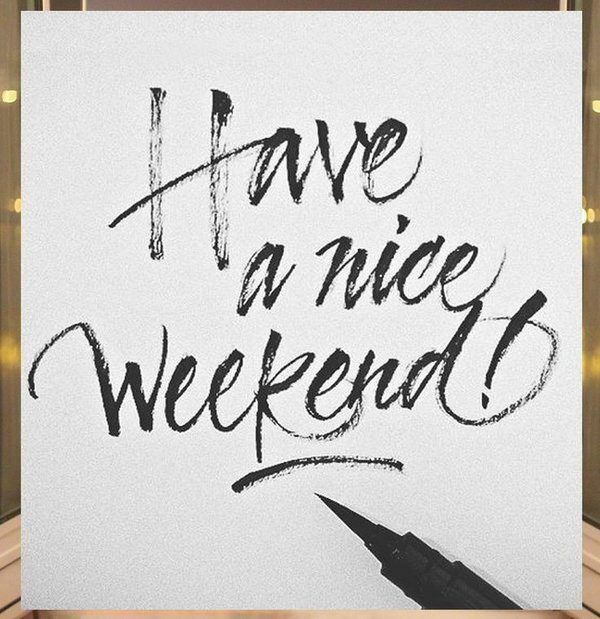 ;) Enjoy your weekend! Hi Lea, so nice to meet you and your blog makeover by Linda is beautiful. She did mine too last year and I just love it. This is a great post and I think we all wonder and have the same thoughts from time to time as we go through life. Some we can impact and others just pass as we go about the day!! Enjoy your new blog look and have a great weekend. Blessings! Like you, I have wondered about those end-of-life things, too, but try to not dwell on them. That was a challenge to me this week, however, as one of our friends died very unexpectedly of a massive stroke. It colored my entire week (as well it should). Thankfully, we know beyond he shadow of a doubt that she is with Jesus. Her life pointed to Him all the time. Good morning! Don't usually 'blog" on Sat., but hubby is away visiting his dad so here I am, lol. I just had to tell you we too watched "This is Us" last night for the first time. We got through the first three episodes. So far can't say I am not interested, but it is REALLY different. Honestly though I think I am going to really enjoy it. As far as your more serious thoughts are concerned, I would imagine most everyone in our age group goes there, rather we really want to or not. How can we not? We are after all only human and therefore KNOW there is no way we are surviving, and of course some of our friends and family have begun to go MAKING us look at our own mortality more and more. And of course we ALL dread the thought of a possible long, painful death. My heart still hurts for Kathy. Perfectly going about her life one minute, and the next her LONG (yet short) journey towards the end. And I guess I have always been soo sure that I will go before my hubby (he has ALWAYS been soo healthy and in shape and at 65 still is in need of no medications with his weight, blood pressure, and blood work always looking soo good) as my health while not by any means precarious, has been not nearly as good. But my thoughts have gone there a few times recently and honestly I think the thought of being left alone without him frightens me most of all. I've been firmly by his side since I was only 19 years old. A lifetime obviously. But knowing the Lord makes everything different for us of course. KNOWING where our eternities will be spent. KNOWING we will see each other again. KNOWING we can trust Him...after all He holds our every breath in His hands. Soo I try to push those thoughts from my head when I have wondered there, and dwell instead on all I have, and go about my life as best I can trying to make a difference in any small way that I can. Enjoy your week-end Lea! Your blog looks great! Linda is my fairy blog mother and I've been contemplating a new design. Wish me luck!